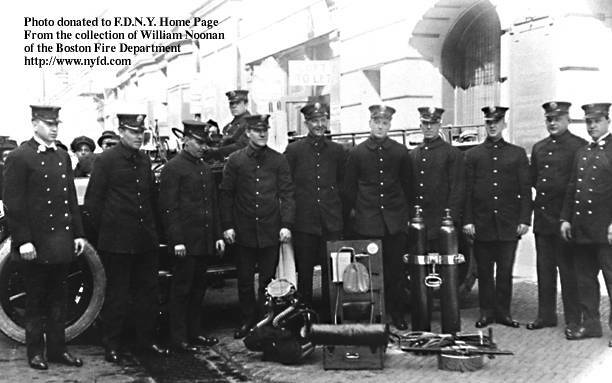 Lt. Thomas Kilbride 1920's using the New FDNY Draeger smoke helmet telephone system. Photo from the collection of Paul Hashagen Rescue 1 Ret. 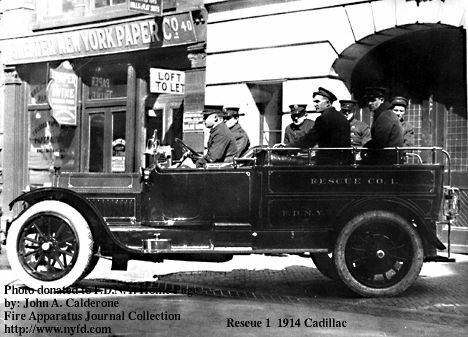 The Crew of Rescue Company 1.